This month a new phenomenon received a lot of attention. Unless you’re on a low information diet, you might’ve heard of it. And google searches ramped up significantly. To break it down in a few words. First off, keto is a very low-carbohydrate diet. The idea was that if you cut too many carbs, you get an itching discharge and a change in odor down there. The truth is that in most cases, if you eat carbohydrates, there is a higher probability that your blood sugar will be higher and that means more inflammation = not good. Guess what happens when you have more inflammation? You are prone to being sick. If you cut out carbs, the chances of having diabetes and many other diseases decrease. These are big claims but there are enough studies out there supporting that. Be it this, this, this or this. Then how come would a keto diet receive some harsh criticism when it can do so much good? 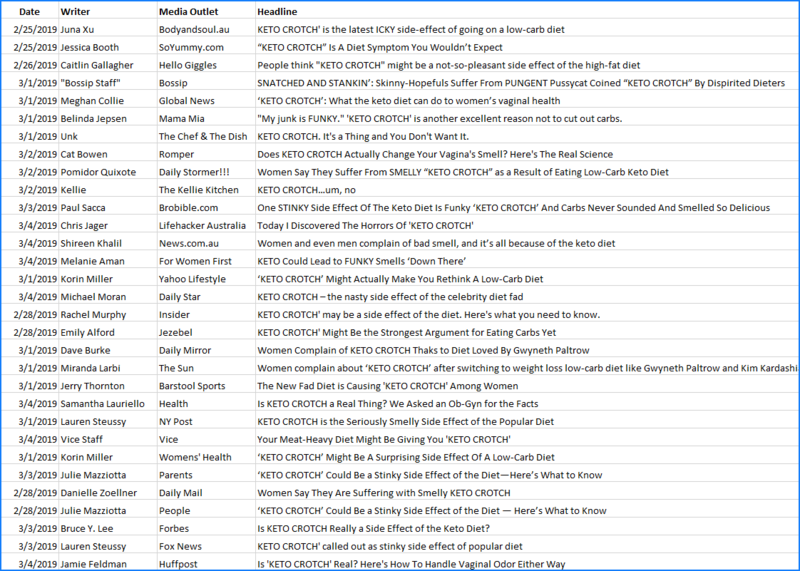 Well, it’s true the body starts acting differently on keto, but not that much that it would get so much media attention all of a sudden. Let me tell you what seems to be the secret behind this media madness. Weight Watchers profits are low, like really low, let me show you. 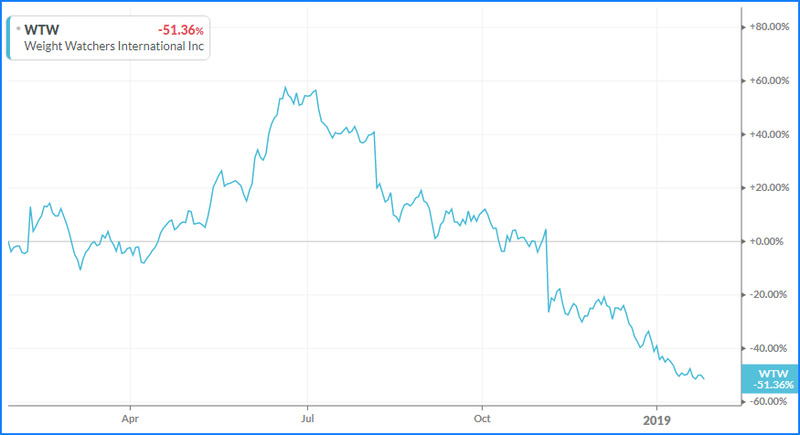 This is how Weight Watchers recent profits look like. Not too good is it? So what can we get out of this? Well, if you can’t beat them, scare their audience. Almost nothing works as good as scaring people. I’m not the one saying it, but one of CNN’s recent articles is titled “Weight Watchers is getting crushed by keto”. Seems like an interesting coincidence. So why does scaring people work? When someone like you and me are scared, we don’t act with the same logical approach anymore. If you were chased by a tiger a couple of thousands of years ago, what do you think you’d think of? Probably not how to rationally escape the tiger in the most energy-effective way for your body and mind. You’d probably shout and run for your life. Although things have changed, we still act irrational when we feel uncomfortable. The problem is that now even talking to someone else can be uncomfortable. Even thinking about something can make us uncomfortable. Imagine having a great life but all of a sudden you’re starting to think that you’ll eventually die anyway. We as humans have evolved, but our instincts haven’t. Because we’ve shifted from being hunted by lions to being hunted by our own standards, our tolerance to stress has greatly diminished. So, where did this talk really started? It seems as if it was mainly around Reddit’s xxketo. But that’s not where it got amplified. Random keto posts from Reddit don’t get international attention just like that. But you know who loves to create buzz around new juicy subjects? You probably guessed it by now. We know that many times, the rich get richer and the poor get poorer, right? Well, it’s not much different in the media world. Once a company grows exponentially, their influence and resources grow as well. That means that it becomes easier to PAY to WIN. Some video gamers might know this term from “FREE” video games. Free games usually have no initial cost, but the creators would “prefer” you pay for those small $1 micro transactions, in order for you to have an easier life playing it. In the media and in advertising in general, you have the possibility of marketing something for free, or you could just do some paid advertising. This means that while you’re scrolling on Facebook or making a Google search, you’ll see some ads. Those companies pay money for it, because our attention is quite valuable. Twitter user John Zahorik posted this nice list from below, showing how some honest and good people paid a few media outlets in order to get their new scare tactic out into the world. It’s true that diet might have an effect on body odors, but in most cases, the evidence shows that only a lack of micronutrients is able to do that. Some studies such as this, this, this and this show that some micronutrient deficiencies are able to cause vaginal issues, but then there’s another thing that doesn’t make sense. 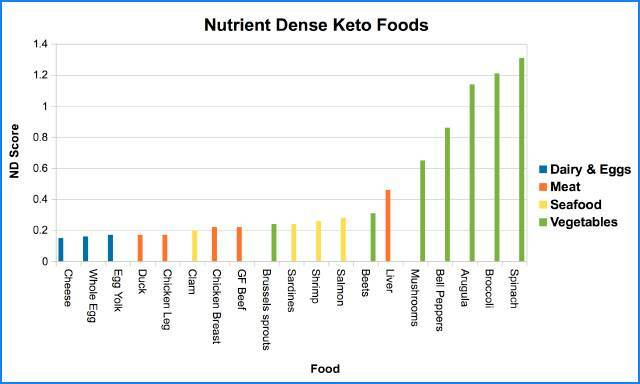 Keto diets, if done properly, are actually more nutritious than almost any other type of eating. That’s mainly because foods naturally high in protein, such as animal proteins and on the other hand, plants high in fat, both have quite a high nutrient density. Combine them with green leafy vegetables and you’ll live happily ever after. And as always, do your own research because spinach and broccoli alone doesn’t give the full spectrum of vitamins and minerals, so this chart is helpful, but not the end all be all of nutrition. You can read more about nutrient densities in this article. For example, I’m not a very sceptical person. If I read a text that is very well written and has a persuasive touch sprinkled into it, then I easily start believing it. However, due to knowing my weakness, now I usually ask myself some questions after reading something that challenges my thinking. Does this person have any interest in changing my way of thinking for his own benefit? Is this person writing or speaking out of their heart (what they really believe in) or are they using a script that’s well prepared? Trust me, in most cases, you can feel if someone is really enthusiastic about what they are talking about or not. Even when I look back at anything I’ve been involved in, I can easily spot when I did the best I could and when I didn’t. It’s difficult to fake authenticity. Fortunately, the media is easy to question, mainly because they adopt an attitude that makes it look like they know something for a FACT. The problem is that the smartest people almost always say that something “might” be possible, because they are smart enough to realize that some things … might just be wrong. Authority bias is a strong superpower, but when you know what to expect from someone or something, it’s easier to question their claims. The media has a bad reputation and there’s a reason for that. Imagine how much money a company that wanted you to fast would make? Not very much considering that the only thing that they could sell you is information, and most of us aren’t not willing to pay for information nowadays since it’s largely available for free. If we are to do that, no one besides ourselves can do it and especially not the media. 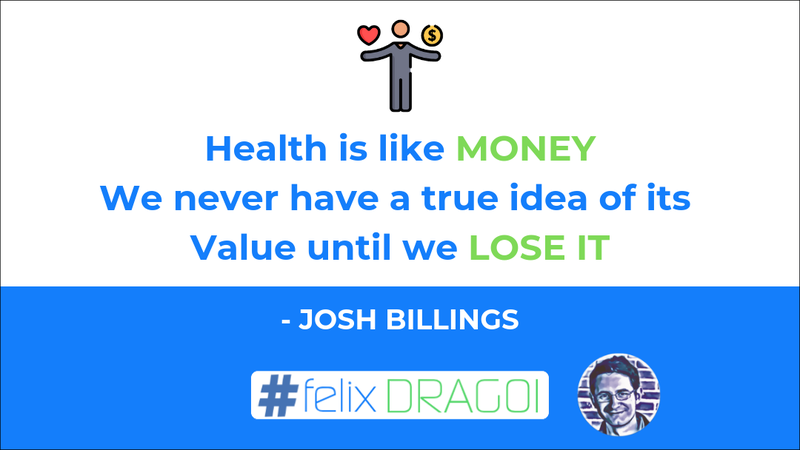 To leave you with a practical advice, there is one easy technique that each of us can use to remind ourselves how important our health is. If you ever forget its importance, remember the last time that you were sick. Remember when you couldn’t do anything else but pay attention to how sick you were? Not able to spend those hours or even days doing things you enjoyed or hanging out with people and having fun. If you’re just like me, then you know how much that takes away from us.